Manila, Philippines – Despite the rhetoric – and the tweets – Philippine-US relations remain strong and America is open to economic partnerships. That is the message that came out of the recently held annual board of directors meeting of the US-Philippine Society held Feb. 19-20 at the Peninsula Manila. The co-chairmen, former US ambassador John Negroponte and PLDT chairman Manuel V. Pangilinan, presided at the annual board meeting and business conference. The uncertainty about America’s leadership of the free world under President Donald Trump is a common concern globally. At the same time, China has been pulling its weight as the world’s second largest economy which has placed Asian countries in a geopolitical bind. Even as they find themselves more enthralled to China’s economy, they are discomfited by its accompanying geopolitical assertiveness. So it was perhaps comforting for many in the audience to hear Negroponte’s remarks, providing a more nuanced perspective on the Trump administrations economic, foreign and security policies. Negroponte cited President Trump’s speech at the World Economic Forum which reaffirmed the US president’s campaign commitment to put America first by helping American companies sharpen their competitive edge and to protect American jobs. But Negroponte also pointed out Trump’s parallel message at Davos that “America is open for business” which represents a more reassuring tone that was welcomed as an indication of continued US partnership in the global economy. Negroponte said that Trump’s statement “America first, does not mean America alone” is a more inclusive message and should be read as an opening for cooperation on trade and investment. Negroponte pointed out that the US and Philippines made a commitment to explore ways to enhance bilateral trade and investment. He believes that “more importantly, the Philippines is well-positioned and agreeable to a bilateral Free Trade Agreement.” A bilateral approach is now favored by the Trump administration in contrast to its previous support for multilateral and plurilateral arrangements. Negroponte suggests that there is no better time than at present to take a US-Philippines Free Trade Agreement seriously. The administration’s National Security Strategy paper identifies potential threats, including Russia’s aggressive posture toward its neighbors and interference in the electoral processes of other nations. It also highlighted China’s growing aggressiveness. ISIS has been defeated in Iraq and Syria, but global terrorist threats remain, including in SE Asia. In Asia, North Korean nuclear and missile deployment is the immediate concern. There is also a perception in Washington that Southeast Asian partners support continued US regional engagement and see America as the “the balancer of choice”. Local and national officials provided a first-hand view on Marawi. It also included presentations on relief and recovery from Asia Foundation and the Philippine Disaster Resilience Foundation (PDRF). In turn, the society presented a PhP500,000 check to PDRF for education and livelihood support. On the second day, they had a one hour and 50 minute dialogue with President Duterte covering bilateral and regional issues. Both sides affirmed that Philippine-US ties are in good shape. 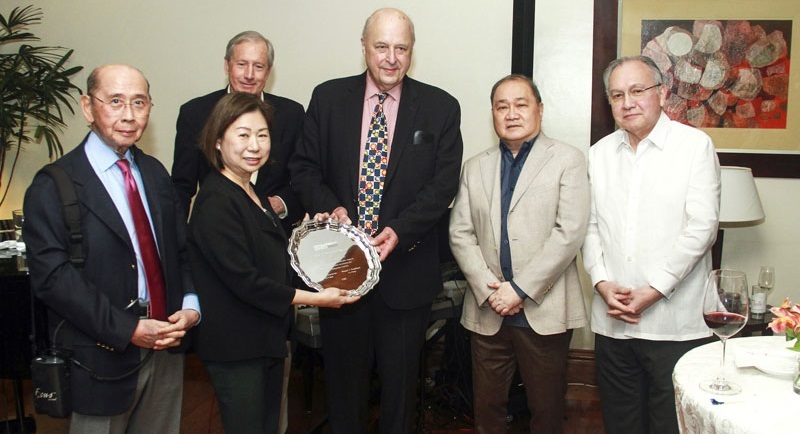 At the welcome dinner hosted by Ambassador Babe Romualdez, Mrs. Tessie Sy-Coson was given the Carlos P. Romulo Award for her sustained support of the US-Philippines Society. 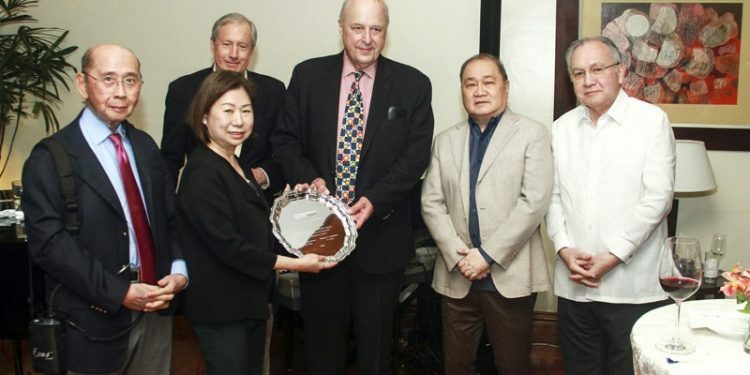 Previous awardees were former foreign affairs secretary Albert F. Del Rosario, the late Washington SyCip, Maurice R. Greenberg of C.V. Starr and former ambassador to the US Jose L. Cuisia Jr.